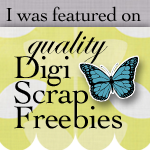 Bon Scrapatit Designs: FREEBIE ALERTS AND AN AWESOME YARD SALE! Greetings everyone!!! Are we scrapping HAPPY, or WHAT??? ROFL! Well, at the moment, it is the or WHAT for THIS girl! YUP, still working on the tax returns for the guys! By this time next year, I will have all the info I need from them, hopefully with NO changes, and be able to file their returns MUCH earlier! The boys ALL have money coming back, so NO biggie for them. I waited for two hours last night for two of them to show up with some necessary items and well, seems they had some unexpected company and forgot all about it for the time being! I called them at 11:00 pm! YUP, I was yawning and SO not wanting to have to keep working but my oldest son brought what was needed and I got all the way to the filing portion and found that he needs to mail in his return and guess what? NO ink to print out his returns! LOL! Robert will need to print his out at work and he is going to take a run to Staples for me and buy a black ink cartridge so I can print out the boy's returns for safekeeping. Each year, I save the returns as a PDF file and I also print out three copies, "just-in-case"! Both Dawn and Monna have some EXTRA delightful add-on goodies to give to y'all on their blogs! 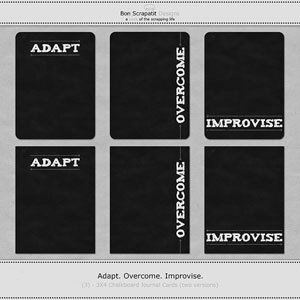 I am attaching the appropriate link to each image so that it will take you DIRECTLY to the post from which you may download each! 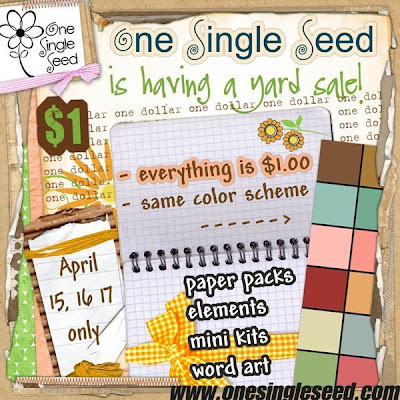 While over at One Single Seed picking up the GORGEOUS *Burst of Spring*, take a peek at this month's FABULOUS Yard Sale which features designs by the OSS Designers where everything is ONLY $1.00!!! What is SO cool about the monthly OSS yard sales is that everything is created from a color swatch so that ALL items will coordinate and y'all can MIX 'N MATCH to build your own kit or just pick up the pieces that strike your fancy! AWESOME, isn't it? UH, HUH!!! Click on the OSS Yard Sale image to be taken directly to the Yard Sale section of the store! I have peeked and there are some YUMMY treats awaiting y'all! *BIG SMILE* OH my, we'd better hurry, this FABULOUS sale is for THREE days ONLY! April 15th - 17th! Follow me on over, you won't regret it! 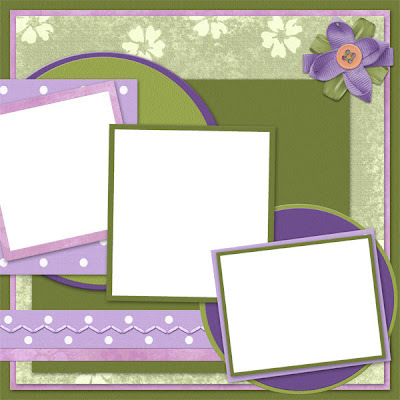 Thanks SO much for looking and I'll be back later today or tonight with a coordinating alpha for *Spring Blossoms*!